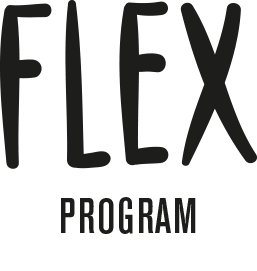 HAPPY NEW YEAR FROM THE FLEX PROGRAM TEAM! Someone once told me that a sign of a great artist is the one who keeps showing up, no matter how hard the task is. Big Up to all the teaching artists in our program who share their craft with the kids, and inspire them to dance every day! We are recruiting kids for a new cycle at the centers. All the kids from every hall signed up- so we will have full sessions starting up soon @crossroads and @horizons juvenile detention centers. The Teaching Artists reflect on the session after teaching the youth in the centers. Video Journals from July 2016. We have now started our contract with ACS providing Flex Sessions to youth at Crossroads and Horizons secure detention centers. Due to very strict rules in the centers, we are not allowed to take photographs that might involve the youth or film any of our work in the centers. However, we were recently allowed to take pictures of our teaching staff in session. Please stay tuned for great pictures of the Flex Artists in Action!